The Juno- and Polaris-prize nominated London (Ontario) rapper drops his first album since 2007's critically acclaimed The Old Prince, and continues to grow as an artist. 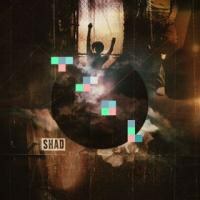 Shad's TSOL is a type of album that's increasingly difficult to address. It's the type of album that doesn't require much more than pressing play and paying attention to get what makes it good, in such a way that you know it's not just one of those albums that pushes your buttons right at the moment. DJ T Lo opens the album with a brooding, beautiful piece of low-key mixing before the album breaks out with the soulful, extremely energetic "Rose Garden". The track itself is massive, turning Lynn Anderson's country tune into an upbeat dance track, but Shad establishes early what he's quickly amassed a strong cult following for. The way Shad rhymes on this album is closely related to the old school patterns Asher Roth pursued on his Seared Fois Gras mixtape earlier this year. His lyrics consistently build off of themselves, as a good portion of his lines interconnect with the ones before and after, creating interlocking chains of references and puns. The result is both extremely rhythmically pleasing and a lyric sheet that rewards repeat listens, as it's impossible for everything to be caught right away. Shad also has a great knack for interacting with the beats he picks. "Telephone" works plenty of well-placed sound effects into his simple concept track, while the more rock-influenced cuts ("Listen" samples Explosions in the Sky, while single "Yaa I Get It" takes cues from Faith No More and "We, Myself & I" roars with similar fire) have Shad sounding like a MC perfectly suited for Madison Square Garden. The problem is, Shad is not the sort of rapper positioned to become such a MC. African-born and Canadian-raised; K'naan has that niche covered. Calls Ontario home, but London, not Toronto; Drake had Degrassi anyway. And besides all that, Shad is one of those rappers that attempts to keep his music romantic and hopeful rather than bleak and realistic. He doesn't curse once on TSOL, and spends a lot of time discussing topics possibly more personal than universal. "A Good Name" is a simple discussion of his birth name, though its beat is one of the disc's highlights, with synths courtesy of hip-hop veteran Classified that sound more Seattle than midwest. "Listen" describes his love for listening to and creating music, while the aforementioned "Telephone" is a loose narrative built around words and phrases related to phones. It's the type of stuff underground MCs do, and I'm not sure how wide-reaching TSOL's appeal is in that regard. Personally, I've played the hell out of this album. Shad advises himself on "Yaa I Get It", "Slow down, do something less cerebral" and responds "I ain't big enough yet, I gotta keep impressing people." And that's exactly what he does for 41 minutes on TSOL. "We Are the Ones (Reservoir Poetry)" is a little plodding and Doomtree-like, but Shad gives one of his most interesting performances on the track, working his flow like a stick shift. Shad as a MC is like eating a favorite comfort food. Even if he feels a little too familiar, he's so easy to listen to, so enjoyable to decode that it doesn't matter. [i]TSOL[/i] has a great flow to it, starting off with a real bang before slowly getting a little more low-key, then rising again with the much louder second half. He is not a boisterous MC -- where Drake's reference to Jada Pinkett's role in Set It Off was emphasized to an extreme, Shad's identical reference swoops in and out like a crook -- which some listeners could go either way on, I suppose. Where I hear a guy with a butter voice, complex but not overbearing flow, and strongly positive subject matter, others might hear just another conscious rapper, or a guy that's not keeping it real. That's fine. But I've been loving this album more and more ever since it finally made it to the States, and I think any hip-hop fan searching for something to inspire them a little should have a similar experience.